Well, he's done it now. Your blogmeister has a tendancy to twirl the dial on the Wayback Machine a bit too quick-like, and he's gone'n done-busted the dang thang. Oh, it still works... but it ain't workin' proper-like, if ya take our meanin'. So today we bring you something a tad different than the usual fare. Sometime back we came across a number of photos from the year nineteen-hundred and fifty-seven, showing two Great War wannabes keeping company with some RF-84s and a single T-33 of the Tennessee Air National Guard. In this installment of 'Stringbags' we present one of those photos. 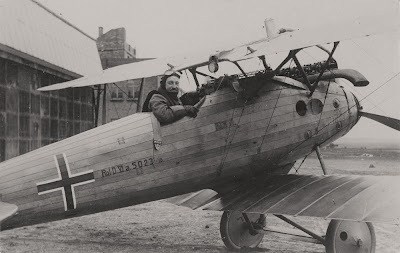 Today at 'Stringbags' we bring you a groovy photo showing German test pilot Wilhelm Eickhoff in a Roland D.VIa at Hannover Langenhagen Flugplatz circa late 1917 or early 1918. 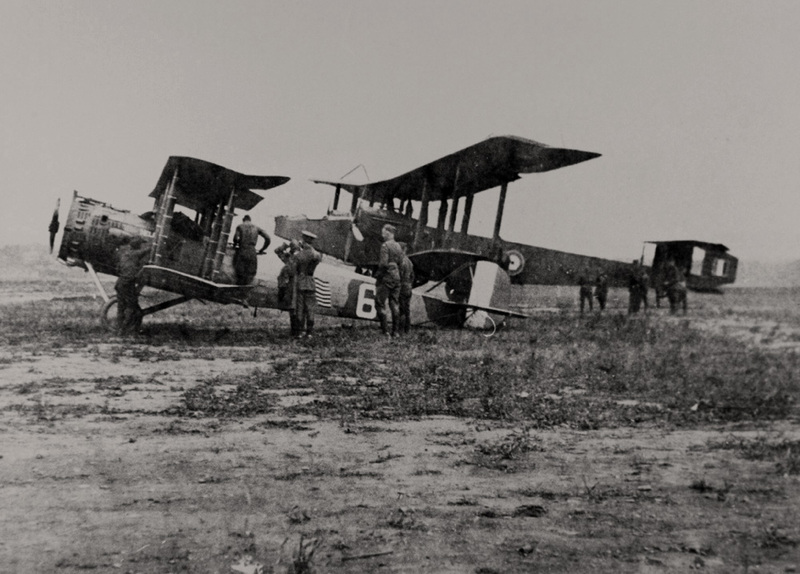 In January of 1918 the Germans held a fly-off competition to select a new scout/fighter aircraft for the Lufstreitkräfte. Though the winner of that competition was the Fokker D.VII, the runner-up, the Roland D.VI, was also ordered into production as insurance against possible problems with the Fokker... and approximately 350 Rolands were constructed. 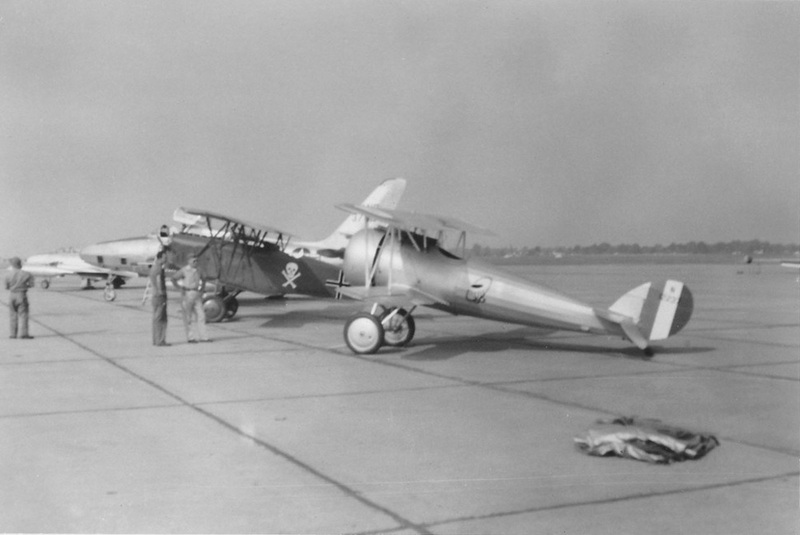 The type was somewhat unique in that the method of construction used to make its fuselage was essentially the same as that used in the construction of certain types of boats. Today we take another break from our series on the 1st Aero Squadron to bring you this groovy shot of F.E.2b A5478, named 'Gold Coast No.10'. 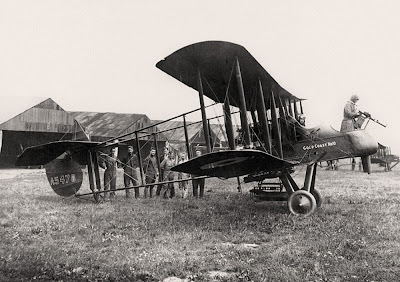 This particular machine was one of 50 built by Boulton & Paul Ltd. and was a 'presentation gift', one of at least ten aeroplanes that were paid for by the people of Great Britain's Gold Coast colony in West Africa. 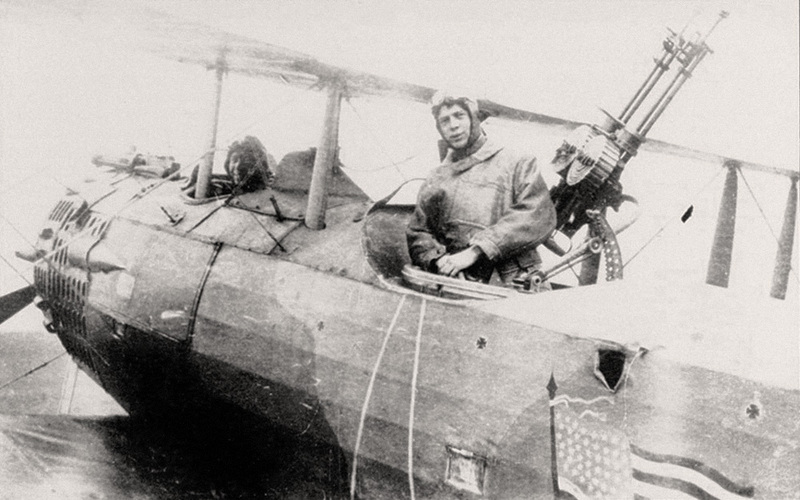 A few posts back we featured a 1st Aero Squadron observer ace named Arthur Easterbrook. Well, as often happens, we just now came across something which would'a come in real handy-like for that previous installment of this-here cyber-rag. Better late than never, we always say. Anyhoo, the something we came across which would'a come in real handy-like for that previous installment of this-here cyber-rag was another photo of Lt. Easterbrook... and this time the pilot with whom he scored most of his victories, William Erwin, is also shown. For those who didn't see that previous installment, or for those whose memory could use refreshing, Easterbrook and Erwin were credited with five and eight victories, respectively. Continuing our series on the 1st Aero Squadron, here's a photo showing one of the outfit's Salmsons with a Handley Page O/400 in the background. We've no info as to the where, when, why, or how.